It is finally here. Labii ELN & LIMS version 3.0 (https://v3.labii.com) is on beta testing. With numerous feedback from our existing customers, Labii continues to deliver the promise of promoting scientific research by creating a new version of ELN & LIMS. We redesigned the new version to make it more user intuitive. 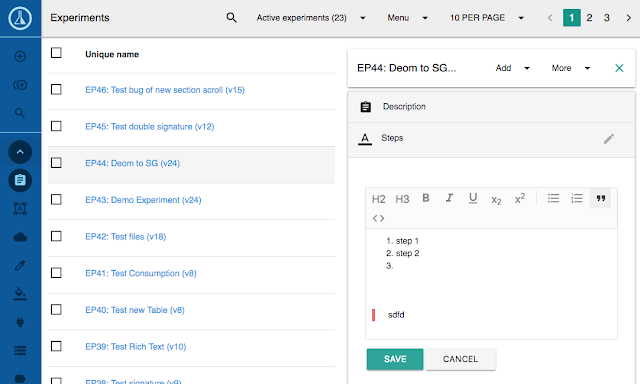 The new version revolutionized the ELN product and meets the diverse requirements of different research labs. What's exciting in the new version. Pay Per Use Option, Users can now pay for the notes they created. No monthly subscription fee, no seats limit. Labii is trying to reduce the barrier of using sophisticated ELN & LIMS for users from academic and small startups. Now, documenting your research data is cheaper than the cost of coffee. $10 can create 100 entries. Widgets, enable unlimited functionalities in your ELN. We, at Labii, for the first time, introduced widgets to meet the diversity requirement of different research labs. Customizable and Flexibility, Labii 3 is designed to be customizable to fit all company and lab requirements. Users can define the table, columns, and sections into any way they see fit. API Support, Labii 3 comes with API. 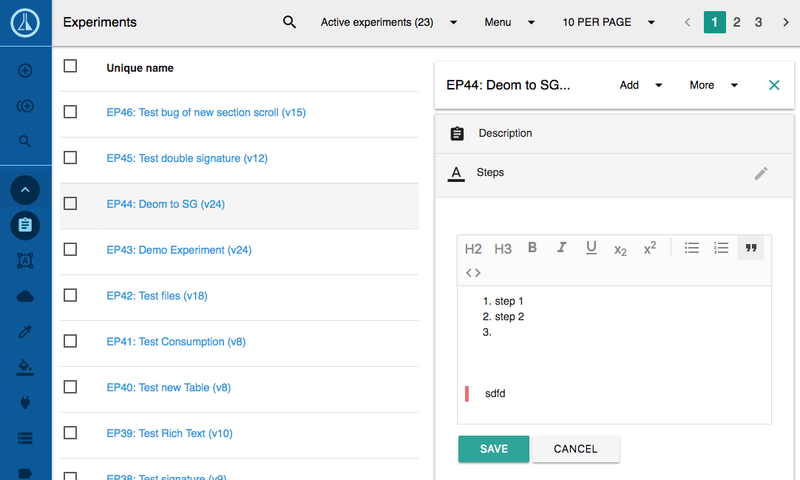 As a developer, you can now manipulate your research data with your own app. You can also connect Labii API to your automatic machines. Labii will continue to support old versions. All your research data will remain safe and intact.